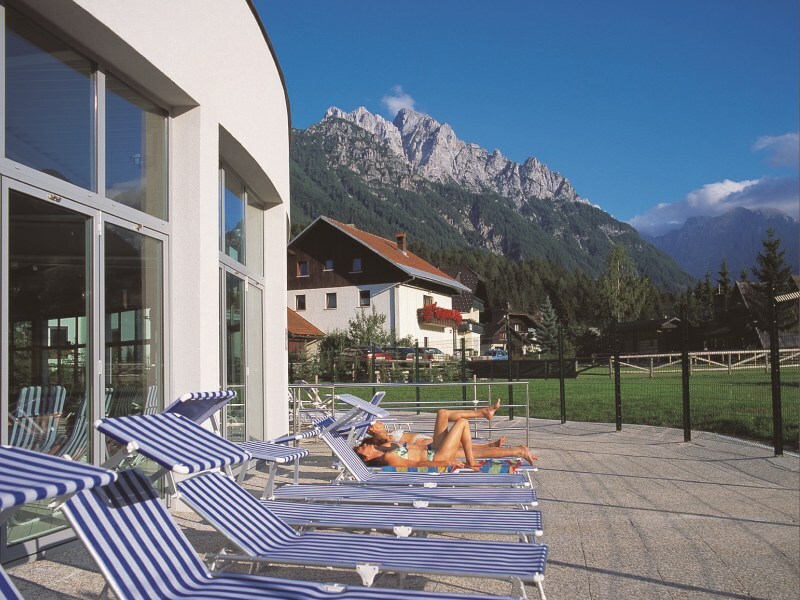 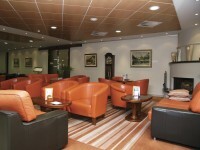 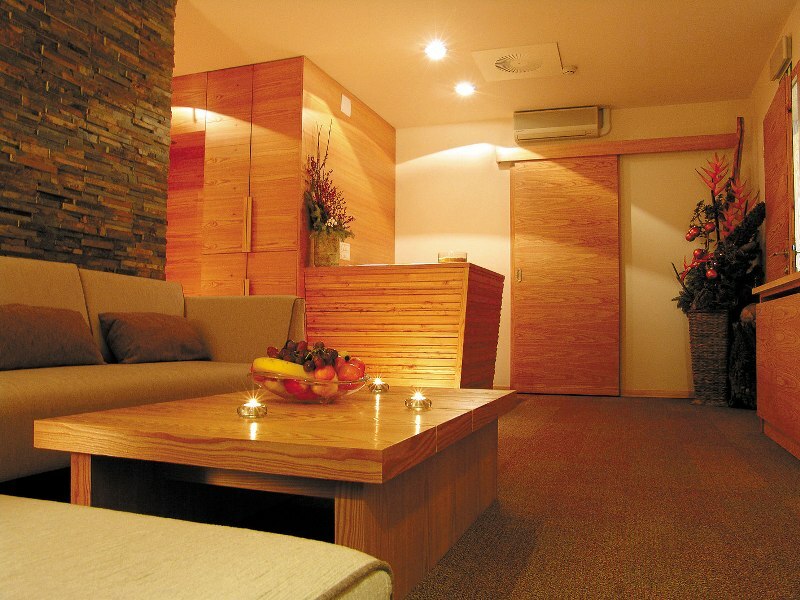 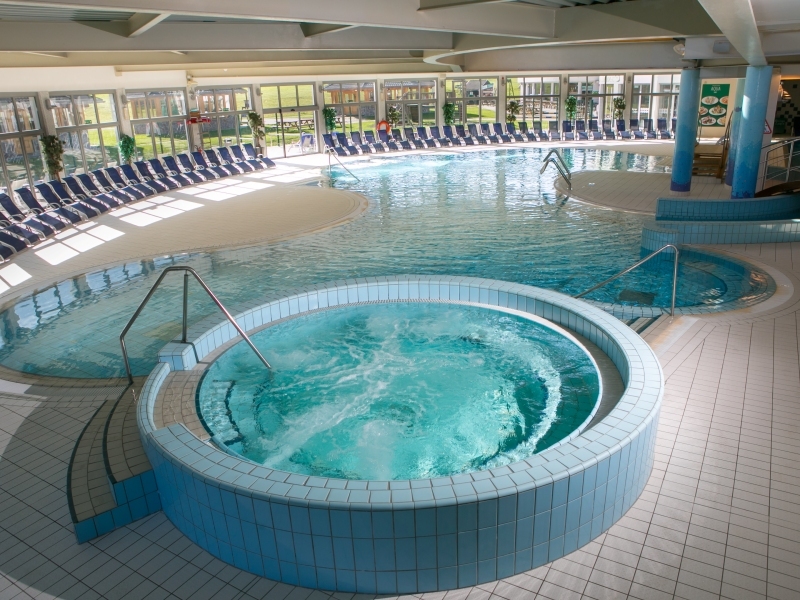 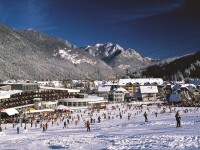 Ramada Resort Kranjska Gora is located right at the bottom of the ski slopes and only a 100 m from the town center. 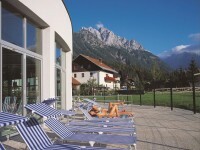 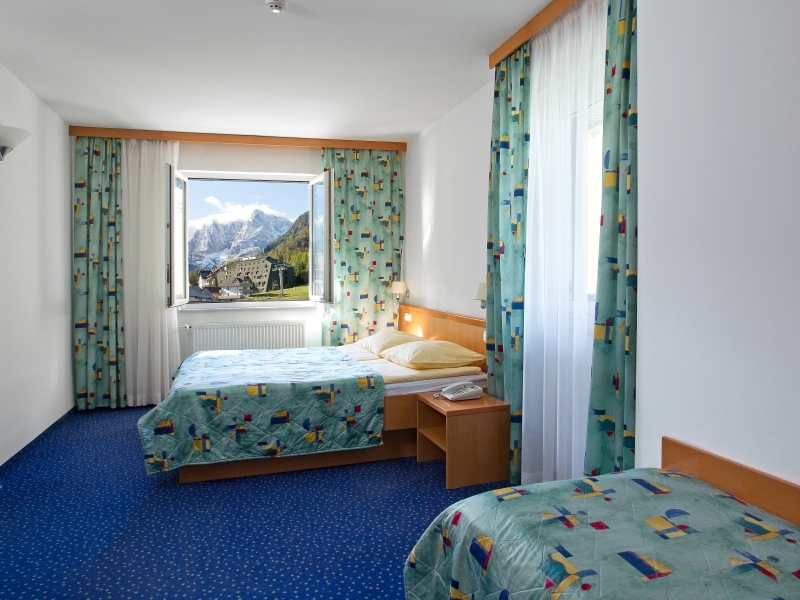 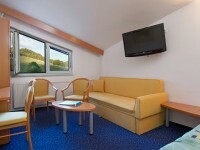 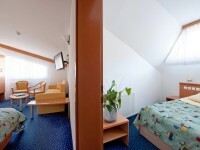 Nicely furnished rooms and beautiful view of the Julian Alps slopes, promise a memorable holiday. 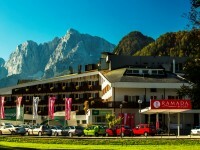 Hotel Ramada Resort Kranjska Gora has been announced for the third time in a row for the best ski hotel in Slovenia! 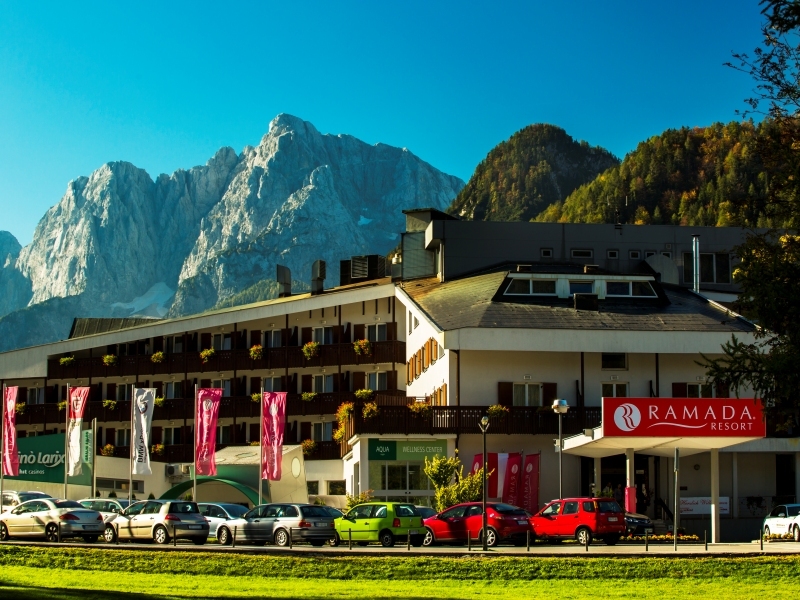 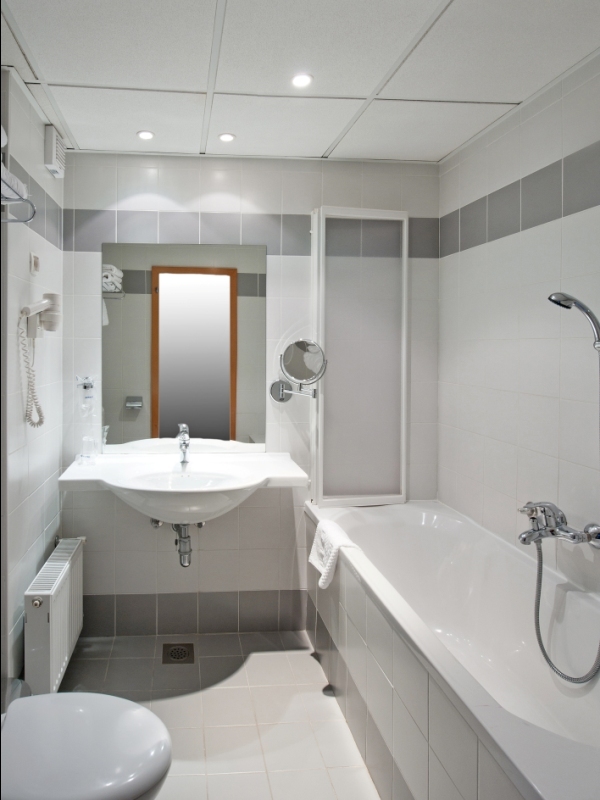 Hotel Ramada Resort Kranjska Gora offers 118 rooms, of which 49 Superior rooms, 42 Standard room with a village vista, 17 Standard rooms, 3 Superior suites and 7 Standard suites. 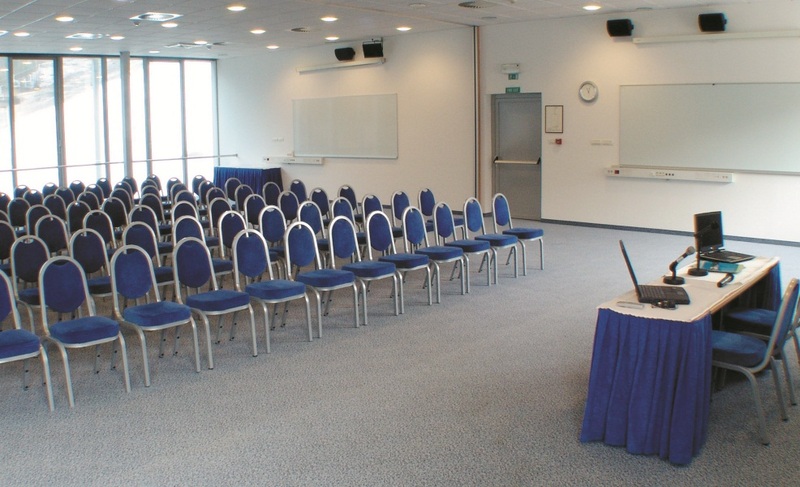 Hit Alpinea hotels are very suitable for organizing various kind of events. 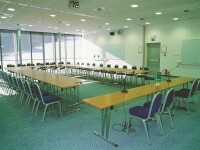 Congress spaces are fully equipped, multifunctional and all air conditioned. 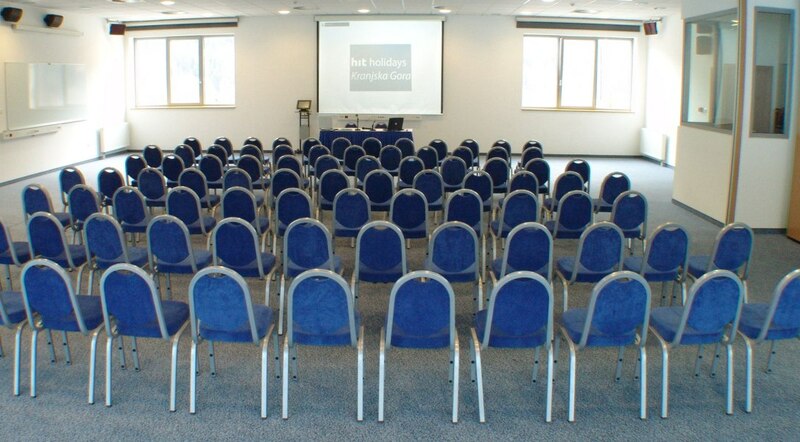 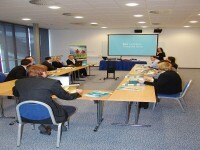 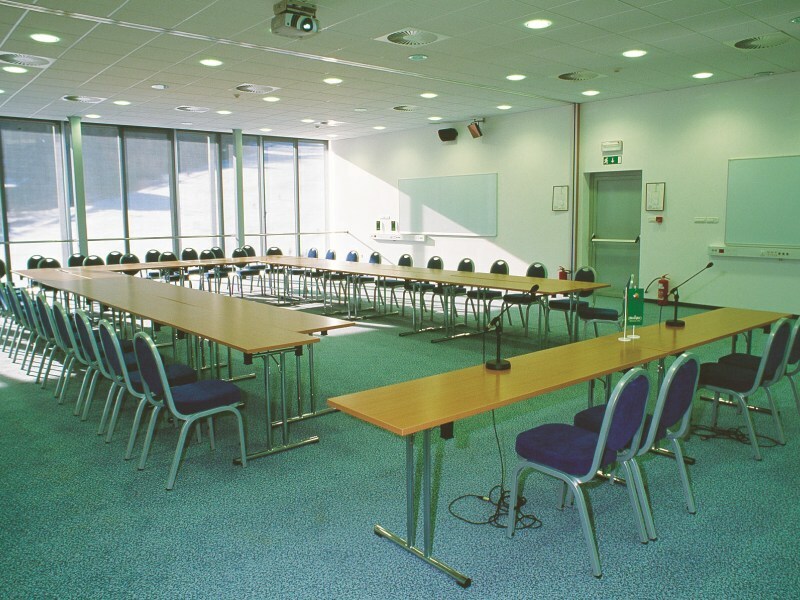 Numerous seminars, meetings, conferences and workshops were organized within Hit Alpinea hotels. 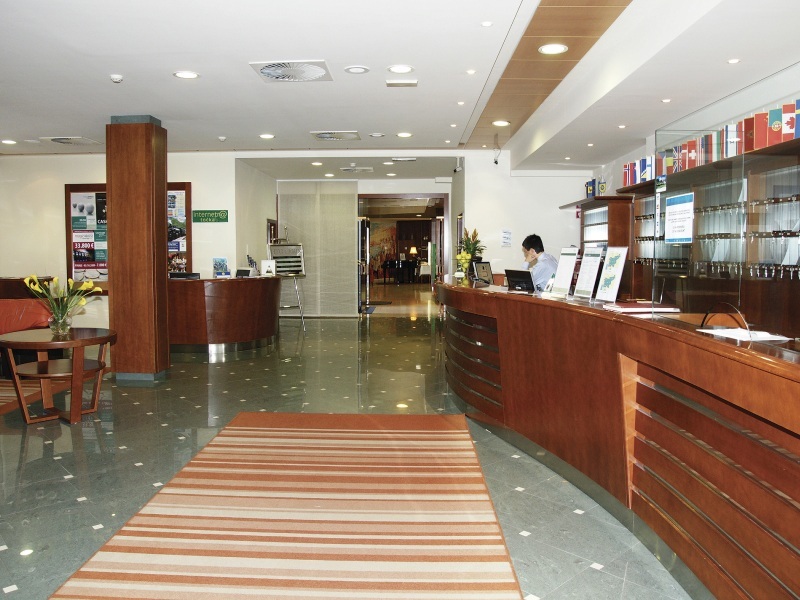 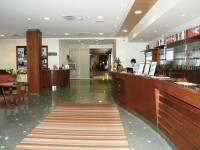 Just a 100-500 m from hotels there is multifunctional Vitranc hall. 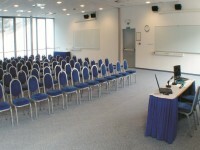 It was built in 2005 and represents a modern sports hall. 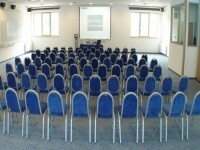 It is suitable for organizing concerts, congresses, gala dinners, etc. 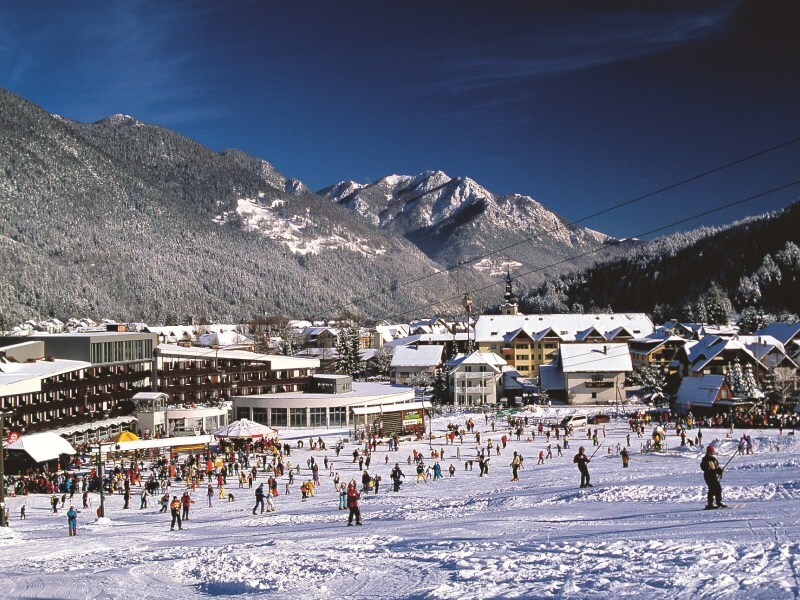 Kranjska Gora is surrounded by the Karavanke chain and the Julian Alps, but still easily accesible. 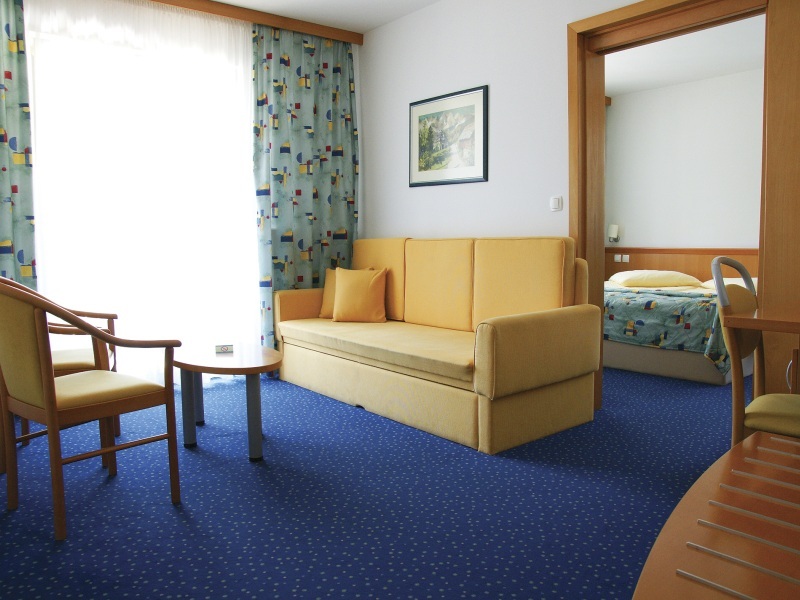 The closest airport is austrian Klagenfurt (55 km) and the Joze Pucnik airport only 62 km. Train station is 21 km away.